Alfresco is an Open ECM platform for content management and collaboration. Alfresco is an open and modern architecture, enables easy extension and customization. 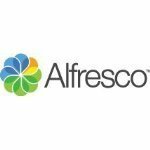 Alfresco is an enterprise open-source software company focused on advancing the flow of digital business. The company improves the way people to work, making sure they have the information they need, exactly when they need it most. The Alfresco Digital Business Platform offers a combination of Content, Process and Governance services, used by over 1,300 industry-leading organizations, including Cisco, Liberty Mutual, Capital One, US Department of Navy, NASA and many more. Alfresco Content Services is open, enterprise content Management (ECM) platform which is easy to integrate with other systems, and extend through open REST APIs and an extensive range of partner solutions. It is used in a wide variety of applications, including case management, and document management and knowledge management.